← Wine Bottles Recycled Into Fancy Cheese Plates! This weekend we went to Vyne Wine Bar in Greenwich Village for a pre-dinner drink before heading over to Lure Fishbar. We got there around 830pm and it was really quiet. They had a nice fire going with leather couches and a long stone table for people to sit at – key to a great wine bar for tastings. I liked the inside however, I learn towards more of an old wood, exposed red brick, more authentic Italian feel to a wine bar. This was a bit more modern but definitely a good spot to share a bottle of wine with close friends to really dig in and catch up since it was a bit on the quieter side. 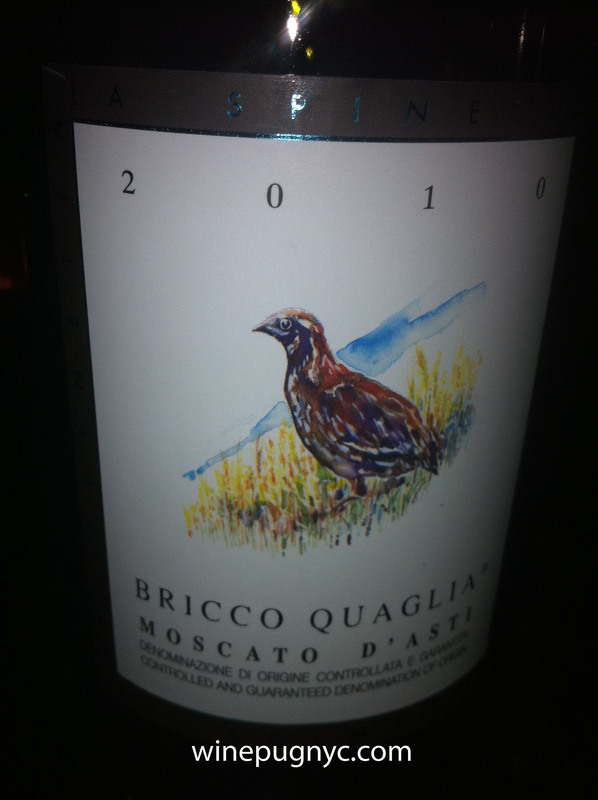 We were in the mood for a little bubbly so split a bottle of 2010 La Spinetta Moscato d’Asti Bricco Quaglia three ways which was delicious. It was very sweet so make sure you are in the mood for a fruity sparkling wine. It was a light – medium bodied sparkling white wine with lots of acidity, dry and very peachy with a hint of green pear flavor. It was a reasonably priced bottle for about $48. This would actually go great with an outside Spring/Summer brunch or complement a nice dessert.. like the ice cream sandwiches we had at Lure! We headed over to Lure Fishbar and had the most amazing time. The interior is reminiscent of a gorgeous cruise ship – love the nautical theme they have going on. 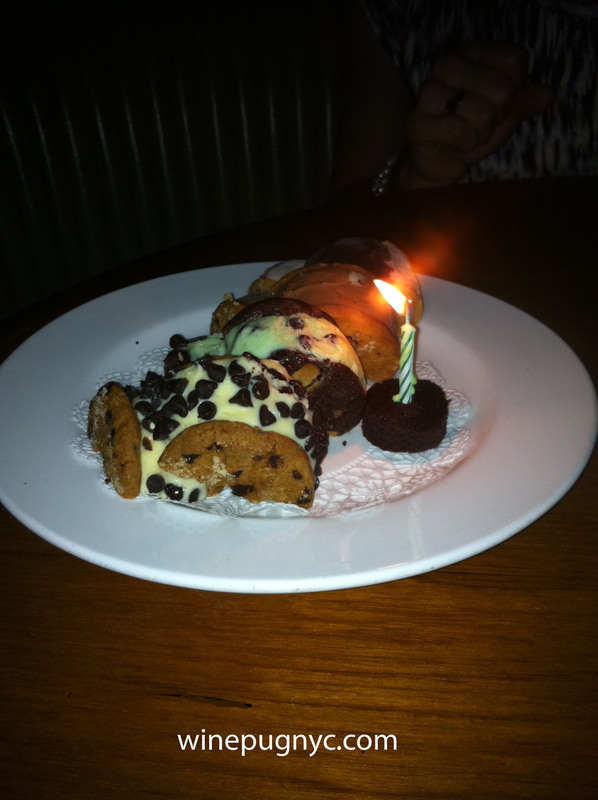 The food was delicious (Recommend: Lobster Roll, Rock Shrimp risotto, Lobster croutons – app). Their wine list offers over 250 bottles starting around $40 – over $100. At Happy Hour (5pm – 7pm) they offer featured wines (white, red, rose) by the glass for $6! So I would definitely go back to see what the happy hour is like but the bar scene is very cool and of course the dinner with it’s extensive wine list is also amazing. Check out the dessert too, next time I would like to try some of their ports and maybe if I am daring enough, their Grappa!!! !